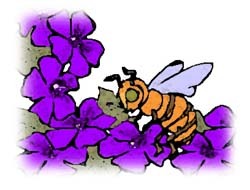 During the warm months of the year when the bees are active and the weather is pleasant, we plan several hive openings. We all get together to visit a member's bee yard. We open and inspect the hive. Any problems found are discussed by the group. It is a very educational and entertaining experience. After the hive is buttoned back up, we all sit down for a nice pot luck picnic. It is a nice relaxing way to spend a summer afternoon. In the fall, we get together to do a group honey extraction. We share the equipment and the work. The best part is you only have to clean up the mess one time! During the cold part of the year we try to have a demonstration or two. Here are links to pictures we took at some of our past gatherings. We hope you enjoy them.